Same day appointments - Aug. 30, 2018, 6:12 a.m.
by Dr. Jonathan Penchas DMD - Prosthodontist Aug. 30, 2018, 6:12 a.m.
expert dentist - that's what a prosthodontist is - a dentist who went to many more years of dental school to be an expert in crowns, bridges and dentures. Can You Straighten My Crooked Smile In Less Than 10 Months? Reasons to Get Dentures April 4, 2011, 3:37 a.m.
Knowing the benefits of getting fitted with a denture can keep the heart from being filled with fear. With the mouth being the first stage of digestion, it is important to be able to chew the food properly. A person who does not chew the food the right way can end up disrupting the processing of nutrients. Dentures suitably placed by dentists in Northwest Houston can make sure that digestion happens efficiently. If an individual has missing teeth, especially the ones found in the upper front portion of the mouth, speech can also be impaired. For example, the letter “s” and “t” require that the tongue touch the front teeth. If they are missing, it may be difficult to speak clearly. Missing teeth also means that the existing teeth have to handle the bulk of the work. They tend to wear out more because of the grinding from regular use. The teeth tend to move towards the spaces left by missing teeth and cause the jaw to be misaligned. This situation can lead to further tooth loss. The use of dentures can make sure that the natural teeth say in place and keep them from undergoing through too much stress. Having dentures can keep the facial profile of a person in check. 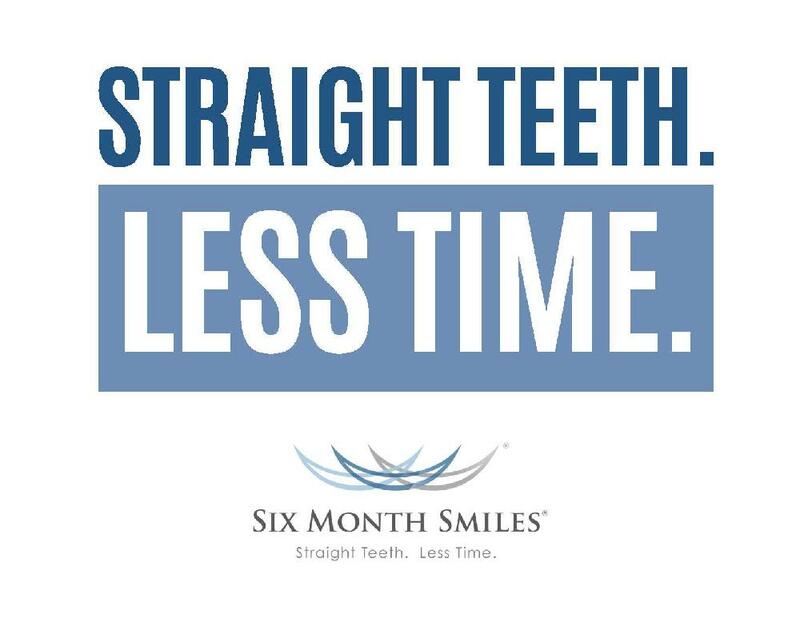 Over time, worn out or misplaced teeth can force the lower jaw to move forward so the chin sticks out. The lips then tend to become thinner and the sides of the mouth can droop. Wearing dentures can prevent this situation from happening and lead the face to look younger and fresher. oral cancer Feb. 23, 2011, 1:54 a.m. If a tumor is found, surgery will generally be required to remove it. Some facial disfigurement could also result.Radiation and chemotherapy are common treatments in facial cancer. They may be in addition to surgery, or alternative treatments. One of the biggest culprits is tobacco and alcohol use. Alcohol containing mouth rinse is also a risk. avoid it and use only non-alcohol containing mouth rinses. Certain kinds of foods such as burnt and preserved meats cause several cancers. Some experts believe certain oral cancer risk factors are also hereditary. Benefits of Implants for Denture Wearers July 7, 2010, 5:38 a.m. Living with missing teeth and detachable dentures is not easy. There are common recorded problems associated with wearing dentures such as poor fit and reduced ability to chew. These problems can drastically change a denture wearer’s quality of life. Diet is limited to soft chew foods and social life is diminished due to fear of embarrassing denture flop out episodes. Today, a denture wearer has the option of replacing dentures with dental implants which can generally improve the overall quality of life of the patient. Dental implants can provide the following benefits. Usually, there are two minimum dental implants needed to support the denture or bridge. These implants are made of sturdy material such as titanium that bond with the patient’s bones. This would mean that there will be no possibility of the denture or bridge from flopping out while you speak, laugh or eat. Since dental implants gives the denture or bridge more stability, this means that a patient can now include firm or more solid foods into the diet. It is a common problem for denture wearers to experience a reduced chewing efficiency leaving them with soft chew diet options only. Full upper dentures also affect taste since it is structured in a way that it covers the mouth’s palate. This palate-covering structure can be removed in dental implants giving the patient the capability to taste food better once again. A loose or ill fitting denture can greatly affect a patient’s speech or ability to speak clearly as facial and mouth muscles work to keep dentures in place. While this may not create significant communication issues, it can diminish a denture wearer’s desire to socialize. With stable dental implants on the other hand, this problem is eliminated along with muscle strain. A receding jawbone is one of the after effects when one looses a tooth or set of teeth. As jawbones start to recede, it gives the patient a new facial shape. Often, this results in an unattractive shrunken facial look. This scenario is what also leads to loose fitting dentures resulting to reduced chewing ability, and constant denture adjustment. All these however, can be avoided in dental implants as they keep the jawbones from receding. Dental implants provide a more permanent aesthetic value to a denture wearer’s facial appearance. Well-modeled dentures attached to implants can give a patient a better smile and eliminate that insecurity related to missing teeth. More stability will also mean no more embarrassing denture flop out episodes and an increased self-confidence to socialize. Dental implant procedures are performed by specialists such as prosthodontists. If you are convinced or are ready for dental implants, simply make an appointment with our dental office today and learn more about your options. You can also get helpful information such as proper denture care and oral hygiene by browsing through the directories on this site. Emergency Dentistry  Getting Dental Care When You Need It July 7, 2010, 5:37 a.m. If you have a dental emergency, your first action should be to call your dentist but what if it’s after business hours? Most dentists have instructions of how they can be reached afterhours if there is an emergency but if you’ve failed to locate your dentist or, maybe, he or she simply does not provide emergency dentistry, then you’ll be glad to know that there are a number of dental clinics who recognize this need and have made such a service available. If your tooth has been knocked out, never pick the tooth by its root. Touch only the crown or top part of the tooth. Rinse it gently to clean it but do not scrub or strip off any tissue attached to it. Try to place your tooth back into place by holding it gently over the socket while biting down. If you can’t reinsert it, put the tooth in a cup then call your dentist. In this dental emergency, it is very important that you get urgent treatment in order to save and reinsert the tooth. Likewise, you would also need urgent attention if you have loose tooth, tooth that moved out of alignment or fractured teeth. Tooth fractures usually happen because there is already an existing damage inside and outside the tooth and the tooth may no longer be saved in severe cases. If you fracture your tooth, rinse with warm water to clean your mouth and take acetaminophen for pain relief. Do not apply painkillers directly to your gum because they can burn your gum tissue. This type of dental emergency involved injuries inside the mouth such as lacerations, wounds and tears on the lips, cheeks, and tongue. The patient must clean the injured area immediately using warm water and get to an oral surgeon as quickly as possible. If the tongue is bleeding, use gauze to put some pressure over the wound. Again, you may take acetaminophen for dental emergencies to relieve pain but never ibuprofen or aspirin which can promote excessive bleeding. If the infection is severe, then it should be dealt with right away since such conditions can be life-threatening. You will likely undergo emergency root canal in order to drain the abscess. If emergency dental care is not available, emergency medical room care. There are situations when a person is not sure if he or she is having a real dental emergency. Basically, if your mouth is bleeding or you are in extreme pain or you have suffered any of the scenarios described above such as losing a tooth or being hit in the face, then you are most likely having a dental emergency. Call a dentist immediately and describe exactly what your condition is and what has happened. If you need urgent dental care now, please give us a call. Video: how are veneers made? The office is relaxing and professional. Appointments run on time. The dentist is very skilled - procedures never hurt. About Hygienist: Dr. Penchas' hygienist is the best. The cleanings never hurt, and she is a great person to see at appointments. Dr. Penchas has and continues to oversee my dental procedures, including: one root canal, roughly twelve fillings, one tooth extraction and three crowns. I would recommend him to people on the other side of the country, as I myself come from Florida to receive work from Midtown Dentistry. Dr. Penchas along with his staff contribute to an amazing dental experience. I've had one tooth extraction done so far, which was so pain-free and easy going that I didnt even know when it was out. The facilities here at Midtown Dentistry more then facilitate the needs of patients. The personalities and mannerisms of the staff make the dental experience feel as if you're at your own home. The cost are not overpriced, and are well worth the time, effort and quality of Dr. Penchas' abilities. Dr Penchas is as good as it gets, as is his staff. He is professional and inspires confidence, you'll feel like you have a real expert hand crafting your smile. His staff is also very professional and friendly. Dr Penchas also seems to be kind of serious, yet he has a great sense of humor. I like a dentist who is getting the job done and is being professional and focused, rather than a chatty one who is distracted and sometimes misses things. Dr Penchas will probably care more about your teeth then you do... You feel the same from his office staff who is warm and friendly and cares about the patient. If you are going to invest money into your smile, its worth going with the very best. i had gone to a previous dentist who to my dismay was not a cometic specialist. among other nightmares,he missed a cracked tooth which led to major bone loss . thank god,i found dr penchas,i took care of the cracked tooth and i now have an implant that is better than my own tooth. he took care of me like i was family. and eventually because of the subpar work of my previous dentist, he has replaced all of my veneers/crowns that i had previously done. they are now beautiful and strong and i haven't had one problem,,just happiness and great teeth. :-) thank you dr penchas..
Great place, The quality dentistry is worth the investment. You have one set of natural teeth, after all! Why would you look for the cheapest price? You get what you pay for and what you get here is 100% satisfaction!